She has also been involved in supporting schools in some of the world’s poorest communities, working with teachers, students and children in Nepal and Ghana. Despite the limitations of their budgets and their appalling lack of resources, Lisa has helped teachers see what can be achieved when they focus on the quality of instruction. It is an approach that has produced some important changes in these schools and has led to her going back time and time again as the the teachers – and the whole school – improve dramatically. Emma is the Associate Director for Vocational and Technical Qualifications Policy at Ofqual. She leads on policy development within Ofqual’s Vocational and Technical Qualifications Directorate, with a particular emphasis on VTQ reform. Her recent work has included policy development relating to new Functional Skills Qualifications, Basic Digital Skills Qualifications, Apprenticeship End Point Assessments, and Technical Qualifications which will form a part of the new T Level programmes of study. Since the reformed Functional Skills were confirmed by the Department of Education in February 2018, Christine has been working with providers and supporting organisations to raise awareness and prepare for the transitional arrangements and adjustments required for September 2019. 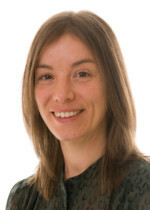 In 2008 Chirstine became an Associate Trainer with the Functional Skills Support Programme delivering a full range of transitional CPPD to providers across all sectors and has continued to work as a PD Lead within the maths and English Pipeline, funded currently by the Education and Training Foundation. Christine has been involved with Functional Skills since the pilot stages in 2007 and supported the transition from Key Skills to Functional Skills within a range or providers for Apprenticeships and 14+ provision. Within an Independent Training Provider, Christine was instrumental in championing the early adoption of Functional Skills across all provision offered resulting in a successful and full transition from Key Skills by September 2012. Following integration with a National Provider, Christine supported the staff training and increased quality assurance required to ensure that high quality provision was retained and above average first time pass rates maintained. Christine has been actively involved with the various phases of development and consultation completed to achieve the new Functional Skills specifications and believes strongly that early adoption of the new specifications and planning for implementation will support a smooth transition to the new requirements, minimising the negative impact on learner pass and achievement rates. Dr Roshan Doug is a poet and academic who has done extensive educational research in Greece, China, South America and India as well as private schools, FE colleges and universities in Britain. In 2015 he was commissioned by BIC to produce a government white paper on handwriting. He also works for national and international newspapers and journals as a freelance writer. Beej is well-known in the FE and Skills sector and has an excellent reputation for his skills as a consultant and trainer, and as an expert in education policy, management, planning, teaching and learning, funding and finance. An experienced consultant with over 20 years’ experience, he has worked across a wide range of educational institutions in the UK and abroad. Prior to this he was Deputy Head of a large comprehensive school and executive director at two FE colleges, and acting Principal at one. 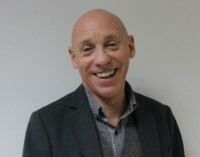 Bob has been a trainer, coach and FE consultant since 2011 and prior to that worked in colleges as a teacher, advanced practitioner, teacher trainer, curriculum manager (Head of English) and cross college manager. He’s a massive advocate of coaching and is skilled at helping organisations to embed coaching and mentoring within organisations to support teaching, assessment, leadership, performance management and culture transformation. Increasingly, Bob supports staff, managers and students to develop resilience, good mental health and well-being. Alongside self-care and the ability to help others, he works with organisations to implement policies, processes and working practices conducive to good MH and WB. Dawn Buzzard is a Further Education and Skills consultant working with The Education and Training Foundation as a Learning Technologies Adviser. Prior to starting her consultancy business Dawn spent over 20 years in the sector where she started as an Adult Education Tutor and then became a College IT Tutor teaching on a range of programme from level 1 to 4. She later moved into a senior management position at Oxford and Cherwell Valley College. Dawn has a keen interest in using technology for learning, has led a wide variety of learning technologies projects, has developed several e-learning strategies and participated in a number of national advisory groups including the Education Technology Action Group and the FE Coalition. Dawn manages the Education and Training Foundations’ Enhance Microlearning project and supported the Foundations flagship programme “Learning Futures”. She also leads learning technology projects for other organisations, tutors online and works in Colleges on interim assignments leading on the use of Technology. Kevin served for almost 30 years in the Regular Army before moving into the further education sector. He has spent many years working in the English and mathematics arena in prison education, work-based learning and further education. He recently spent over a year as a consultant working with a number of colleges to drive up the quality of English and mathematics, and is now an Assistant Principal at The Sheffield College. Jai is a Sales Manager in the Education sector working with FE colleges, schools, training providers and employers to implement bksb’s market leading online solution for maths, English and ICT. Jai first started working at bksb the age of 15 where he completed his work experience. Following university, he joined the company full time. He now manages a highly effective sales team, supporting thousands of providers across the UK. As the Account Manager at bksb Matt works with a wide range of organisations to help implement bksb’s award winning solutions for English, maths and ICT. From FE colleges to independent training providers, Matt is responsible for delivering effective training to help ensure that staff members are able to use bksb to its full potential. Matt is passionate about ensuring that client’s use the bksb platform to effectively assess and upskill learners to help them excel in their learning journeys and subsequent careers. Lucy has worked in the training and education sector for over 20 years and for the past 8 years has been working in the Apprenticeship sector. She worked at 2 leading FE Colleges managing the Business Development teams which saw a 400% increase in apprenticeship numbers. For the past 3 years she has been working for Health Education England offering strategic support to the NHS on all aspects of apprenticeship development, delivery and implementation. She is very passionate about apprenticeships as a great tool to recruit new talent to the NHS but also as a way to upskill the existing workforce and offer career pathways and progression. She is a very busy Mum of 3 but luckily absolutely loves her job too! Claire Collins is a literacy and learning consultant, specialising in post-16 education. She leads national Functional Skills CPD programmes for the Education and Training Foundation and her team is currently working with the Institute of Education at UCL to develop a Post-16 Phonics Toolkit and accompanying national CPD in response to Functional Skills Reform in Entry Level English. Claire has worked across the UK and internationally providing adult literacy development advice. Claire’s teaching background is in adult literacy and ESOL and she has designed and managed a wide range of teacher training and professional development programmes for the post-16 sector.